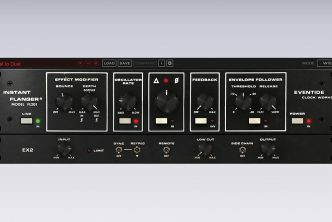 Building on the powerful, adaptive engine of Transformizer Pro, this new plugin gives any track a unique edge that will make it stand out and take the final result to the next level. 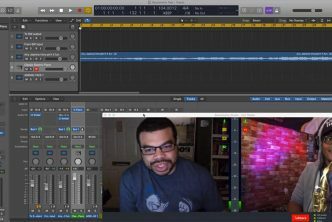 (Copenhagen, 10 April 2018) Transformizer Basic is a brand new tool for all musicians and producers interested in obtaining an artistic edge and maximizing their creative output in the studio. In short, an adaptive engine lets one audio file’s pitch and/or amplitude control the behavior of another, which can generate creative results that would not have been discovered in other ways. Time is the most precious resource musicians and audio producers have available – Today, it’s all about the ability to turn out great unique ideas fast and efficiently. We’re truly determined to help maximizing our users’ creative output. And don’t be mistaken by the ‘Basic’ tag. It’s a gamechanger in its own right and we think people are going to love it! says Transformizer co-founder and CTO Lars-Bo Kjær. 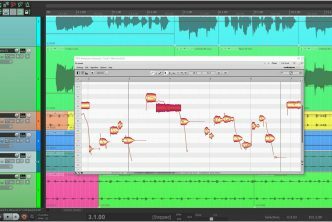 Transformizer Basic is perfectly suited for doing its magic within musical projects, as it is possible to define the length of one or more bars in the Master file section and lock it to the project’s tempo. This means that the Child section audio file will not only follow the master file’s pitch and amplitude, but also the overall tempo of the song, which is key to obtaining great results in a music production context. Transformizer Basic builds on the same adaptive engine as the full-blown Transformizer Pro plugin that was originally developed with professional sound designers in mind, and Transformizer Pro has already been embraced by several of the world’s most famous film and post-production facilities. 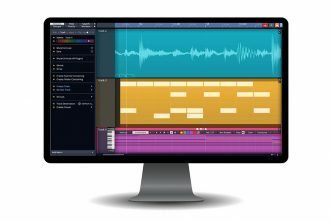 Importantly, the Basic version was optimized for music production rather than being a less capable edition of Transformizer Pro. While sound designers may find a need for blending three or four different sound sources and have detailed control over many parameters, music producers will be pleased to find that the Basic version is delivering faster results that are just as breathtaking. The core algorithm under the hood of the Basic version and the sound quality it delivers is the same as in Transformizer Pro, but in order to deliver fast and inspiring results, Transformizer Basic lets the user work with one master and one child audio file and kick in the magic instantly, using a Randomizer feature. Potentially, there are millions of possible results when ‘transformizing’ so setting a degree of randomization and simply hitting the Randomize button repeatedly will conceive unique results instantly and continuously. Once a desired sound has been created it is simply a matter of saving or rendering it to a new track. In fact, the development of Transformizer Basic has benefited Transformizer Pro, as the new lock-to-tempo feature has also been implemented in the Pro version. In case music producers find the need to have even more detailed control over individual parameters or work with up to three Child Sections simultaneously, it is possible to upgrade to the Pro version at any time. Transformizer Basic is available now on Avid Marketplace, as well as on the Transformizer website. The regular price for Transformizer Basic is $199, but an introductory campaign cuts 25% off the price: $149. Transformizer Basic – as well as Transformizer Pro – can be experienced first hand at Avid’s booths at the NAB Show in Las Vegas (April 9-12) and at Musikmesse in Frankfurt, Germany (April 11-14). For more information please visit Transformizer’s website at transformizer.com.